Symphony Nova Scotia’s new Maria Anna Mozart Award supports the work of Canadian women composers, providing funds for the orchestra to commission and perform a new symphonic work by a Canadian woman every three years. This award is made possible through the generosity of Halifax resident and longtime Symphony supporter Dr. Jane Gordon. 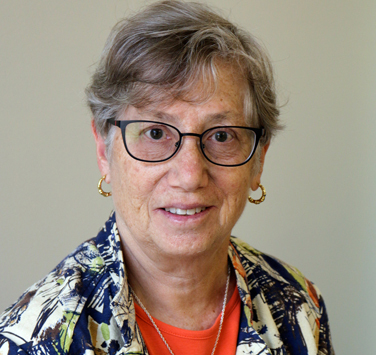 Dr. Gordon taught Sociology and Women’s Studies in Halifax for almost 40 years, and her research has been published in academic journals and books. She is a long-time Symphony Nova Scotia attendee, and has a keen interest in the role of women in classical music. We talked to Dr. Gordon about the Maria Anna Mozart Award, and why she decided to support it. What first brought the issue of women composers (or the lack thereof) in classical music to your attention? I developed and taught a course called Women and Culture at Mount Saint Vincent University, as part of the university’s Women’s Studies program. Women’s Studies helps make visible some of the issues around gender that many people take for granted, and as long as I’ve been teaching, I’ve always been interested in feminist issues. When my children were older and left home, I decided it was time for me, and I started taking piano lessons in my fifties. And as I was learning, I became interested in women’s role in classical music. And you know what? There weren’t a lot of women composers. There were a few whose names were well known, like Fanny Mendelssohn or Clara Schumann, along with some 20th century composers – but beyond that, there was very little available. So I began to do some research, combining my piano lessons and my academic frameworks. I studied the syllabi of the two major Canadian conservatories. I analyzed the classical music performed on CBC Radio 2. I studied lists of classical recordings and releases. And what I found is that the lack of women composers is a problem across all these levels, and that it’s a vicious cycle. Music by women composers isn’t being taught, so it isn’t being learned. And because it’s not learned, it’s not played, or recorded, and that means it isn’t heard – and then it isn’t taught. And the cycle continues. What inspired you to do something about the problem? Over the years I’ve attended a lot of symphony concerts, and I’ve never heard pieces by women. I knew it was an issue, and people I’d talked to felt the same way. My husband and I had always enjoyed concerts together, and he died in 2005. One day that summer, I was sitting around at home, feeling miserable – when all of sudden I got the idea to commission a piece by a woman in his memory. I remember that day so clearly, because I’d been so unhappy, and suddenly I was so excited. I approached Symphony Nova Scotia with the idea, and together we commissioned a new work from Canadian composer Elizabeth Raum called Halifax Harbour. Symphony Nova Scotia premiered Halifax Harbour in January 2008 to great success, and after that it was performed in Ottawa and Thunder Bay, and in April 2017 it will be performed in Ottawa and Toronto. It’s not always common for new Canadian music to get that kind of exposure, and I thought, how can we carry this on further? My first thought was, well, when I die, I’ll give the Symphony some money for this purpose. But then I realized that I don’t have to wait until I die – I can do it now! Then I get to experience the fun of it. This is a very small step, but it’s something I can do. And it makes me feel happy too, because I care about the Symphony, and I care about women’s work. In your opinion, why are women composers under-represented in the classical music “canon”? What factors have helped perpetuate that problem over the years? It’s very hard to be exposed to music by women composers, because it’s not often taught or recorded or performed. The music is out there – the Grove Dictionary of Women Composers is 500 pages long – but the music itself is very difficult to find. And when music teachers aren’t familiar with it, their students aren’t either, and when those students become professional musicians or music directors, they don’t perform it. Again, it’s a vicious cycle. I think part of the problem is that we’ve all absorbed the dominant culture, and we think that women’s compositions can’t be good, if they haven’t been prominently recognized and performed. We forget that a lot of the people we consider great composers now weren’t always respected in their lifetimes, either. Many of us have seen the film Amadeus, which shows how when Mozart was alive, Antonio Salieri’s work was much more popular. But today, Salieri’s music isn’t often played, and Mozart is recognized as the great composer of his time. We see this phenomenon everywhere – in art, in theatre, in pop culture. I’m old enough to remember when Prince Charles was considered the most eligible bachelor in the world! What can be done to help correct the lack of women composers in classical music, and bring more compositions by women to the forefront? It is a challenge. It’s so hard for people to hear the music if it’s not recorded or performed. But I think at least if the music is created, it has the potential for being performed and is available for people to search out. If you look at orchestra musicians, we only started getting women in orchestras when blind auditions were instituted. It’s very easy to criticize and exclude women based on what you see, and what your preconceptions are – but when orchestras instead started basing their decisions on what they heard, they realized that women performers are just as good as men. I hope we’ll see this happen with women composers as well, and that as we start including women’s creative work in concerts, it won’t be seen as strange anymore, but natural. I also think we need to start at the beginning of the cycle, with the students and teachers. Conservatory Canada has a requirement that every exam have one piece by a Canadian composer – why not have a requirement for a woman composer too? I also encourage music teachers to take the time to find music by women, because it is out there, and when people start playing it, they’ll appreciate it more. Finally, we need to raise awareness of this issue, and I think commissioning these works by women is a small step. People need to know it’s a problem. Who are your favourite women composers? 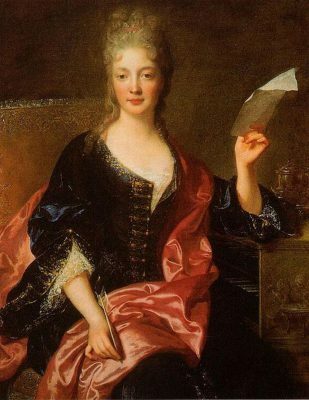 My personal favourite is Élisabeth Jacquet de la Guerre, a French musician and composer. She lived from 1665 to 1729, and she was highly regarded at the time, though her music is rarely performed today. In my opinion, she’s just as good as many of the baroque composers whose works are far more frequently heard. I’ve also heard it theorized that some of the pieces that Felix Mendelssohn published were actually written by his sister Fanny, but that it was easier to get them published with his name on them. But of course, we don’t actually know. There are also stories that Mozart’s older sister Maria Anna Mozart wrote music too, but none of them came down to us – and that’s why I wanted to name this award after her. Her music is what happens to the creativity of so many women – it just disappears. It takes real effort for people to find it, if it still exists at all. In terms of modern women composers, I like Elizabeth Raum a lot, which is why I asked her to write my first commission. I also enjoy the work of the Canadian women composers Violet Archer, Barbara Pentland, Jean Coulthard, and Ann Southam. I think one of the ways to deal with that is to say that there are a variety of tastes and preferences. And while people can make arguments for what’s “best”, it’s always up for debate, and that’s the same in any genre of music. Is there an objective standard that measures the quality of the work? How is that determined? Sometimes I also think it’s a fluke, what gets chosen to be popular or accepted. We underestimate the role of randomness in social life, and the impact it has on our likes and our decisions. Social media is a great example of this – who knows why certain things get picked up, and not others? Again, we also need to point out that people’s work is not always recognized in their lifetime, or even after. Just because creativity isn’t recognized doesn’t mean that it’s not valuable or worthwhile, or that it won’t be recognized as outstanding in the future. Your gift is helping to make real change in our community on this issue. What do you recommend for others who have similar issues they’d liked addressed? If you want to see an organization do something, give them some money! I was a single mother when I was raising my kids, I worked hard, and I was frugal. You don’t have to be super wealthy. Money is a resource – use it for the things that matter to you. To learn more about the Maria Anna Mozart Award, please click here.